To listen to David's interview live, click on the Transformation Talk Radio "LISTEN NOW" icon below. 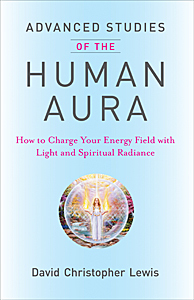 Tune in to Hearts Center Talk Radio with David C. Lewis, Aquarian author, teacher, musical composer, and clairaudient. David has delivered more than 4,000 messages from angels, ascended masters and divine beings. Meet him and his guests as they inspire hope and share their viewpoints on spirituality and its impact on your world and world events. Wednesdays at 9:00 am Pacific, 10:00 am Mountain, 11:00 am Central, and noon Eastern Time. Listen to beautiful HeartStreams from the Ascended Masters. Click here! Sign up for our newsletter and receive our FREE ebook, Pray, Sing, Dance and Play with Us! Interviews of David with Dr. Pat and more! When tasting oranges, lemons, limes. Will I exhibit, only cheer. On higher truth, not newsy crimes. Is what the Masters knew and taught. With nature spirits, children, mimes. As loving energy I send. With ha-ha-has, with jokes and rhymes. To every creature upon earth. My voice amidst the angels soar. And hold you in the light, so near.